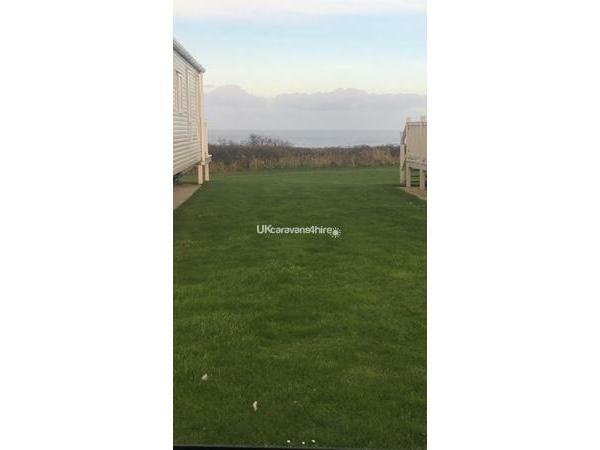 Absolutely stunning 3 bedroomed home (6 berth) from home caravan with breath taking partial sea-views, which has its own private parking bay next to the caravan. 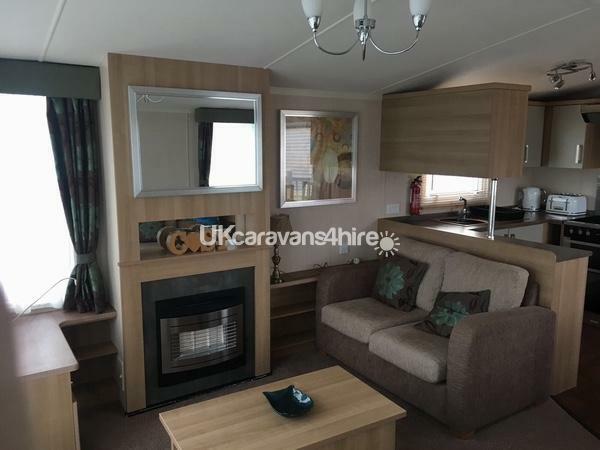 The caravan is double glazed and centrally heated with a full wrap around decking with patio furniture for your use. 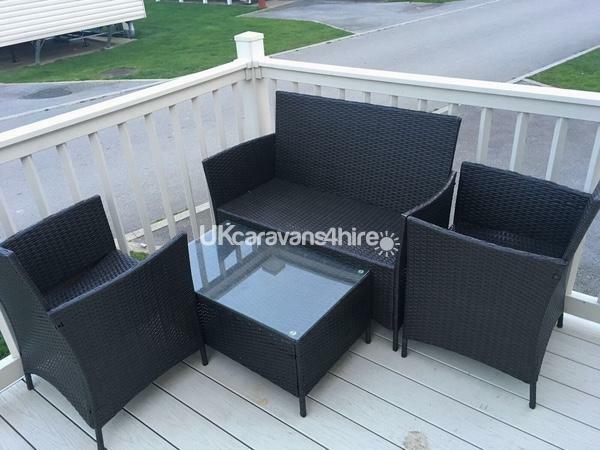 Great for watching the world go by. 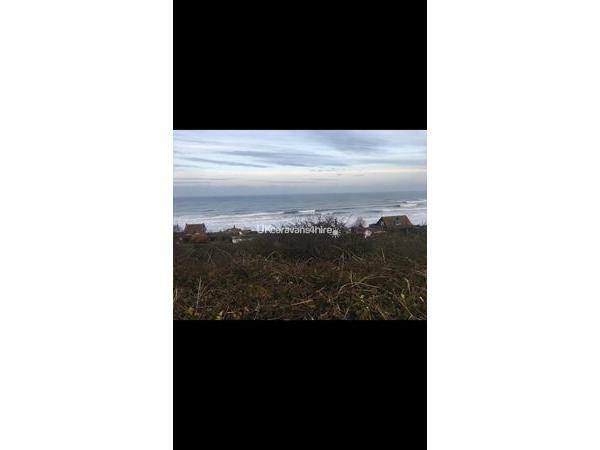 It is on Haven's flag ship site Primrose Valley in Filey being the largest and best site up North. Amazing facilities such as splash parks, swimming pools, entertainment complexes, boating lake, golf course, swing parks, bike hire, hire shop, restaurants etc etc. Please check out their website for full and up to date facilities. 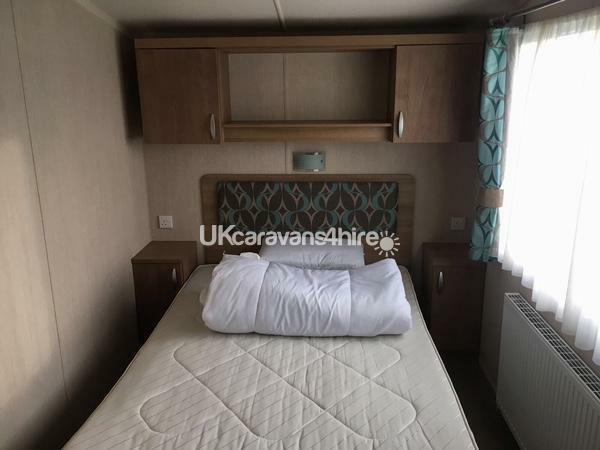 The main bedroom is larger than many other 3 bedroomed caravans with additional space at the bottom area of the double bed for a travel cot, (one is available for your use at the caravan). 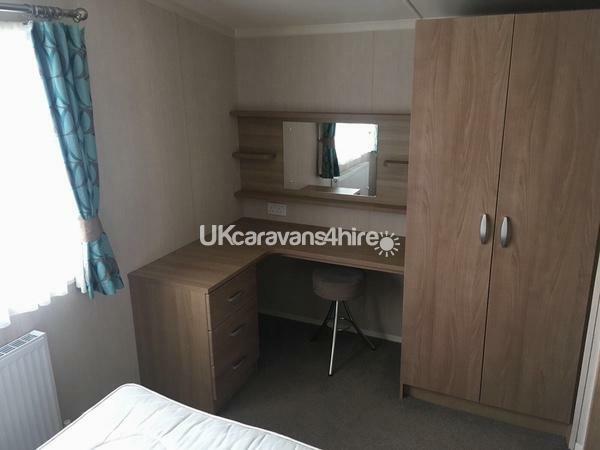 The main bedroom has a dressing table area and wardrobe and like the rest of the caravan is beautifully decorated with an ensuite toilet and sink. There is a hairdryer for you to use too. 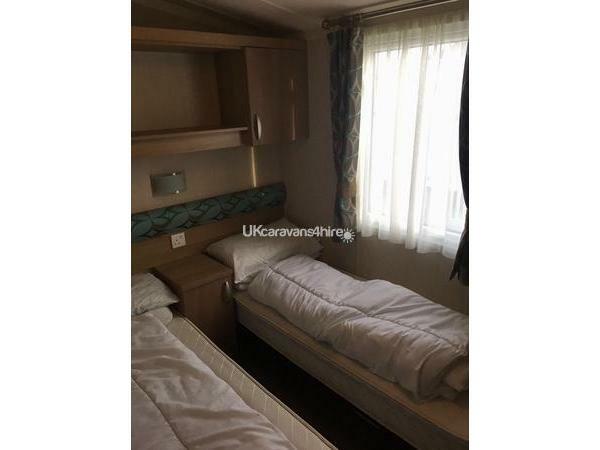 There are 2 - twin bedrooms - these can be put together to make 2 - doubles if necessary. 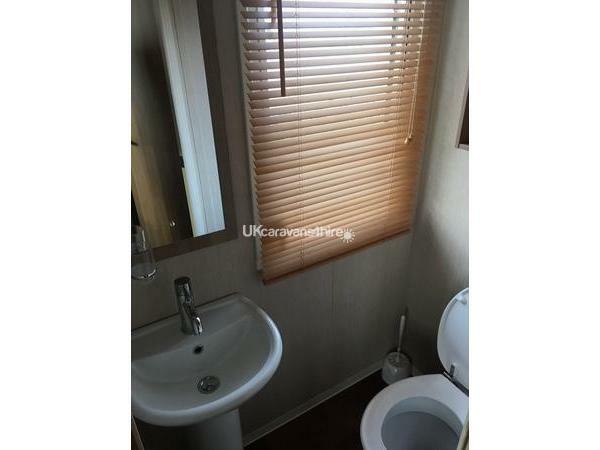 There is another toilet and sink and a shower room. 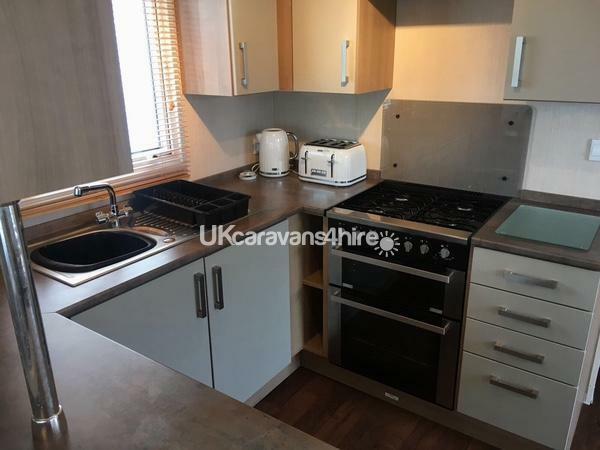 The kitchen is fully equipped with full size fridge freezer, microwave, kettle, toaster etc. The living/dining room is extremely comfortable with all home comforts. There are plenty of dvds, cds, buckets and spades, books, games console and games for your enjoyment. 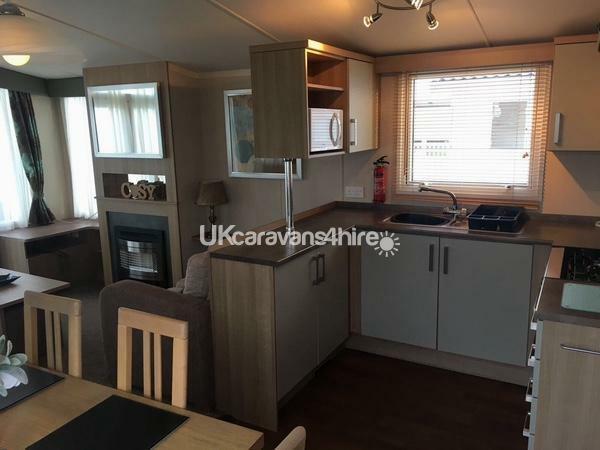 This is the first year this caravan has been rented out and has only been used on odd occasions for family and friends during the last couple of years so this caravan really is like brand new. It has just been purchased by my son Carl and his wife Danielle in November 2017 when we all viewed we honestly thought is was a brand new model. You will not be disappointed! The prices and availability is on the calendar. These prices do not include the passes or linen. Passes - if you really want them can be purchased at reception on site. To find out latest prices it’s best to ring the site up itself. Please take your own linen (sheets, duvet covers and pillowcases). Any further questions however please do not hesitate to contact myself (Zoe). 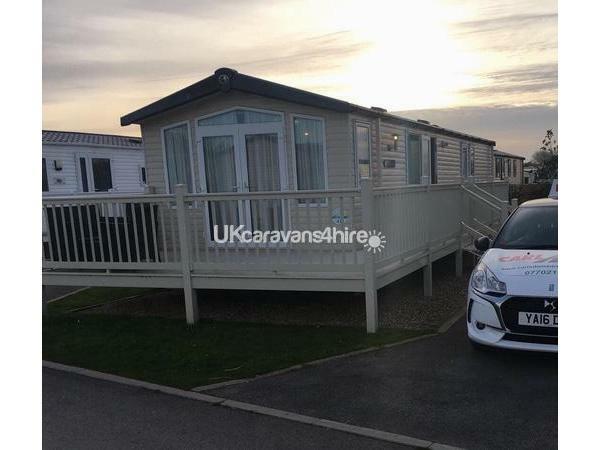 I own 2 caravans at seashore a Haven site in Great Yarmouth which I advertise on this site so I said I would help him manage this one too. Additional Info: Laundrette, hire centre, shop, restaurant, golf, funfair, swimming pools, fun pool, parks, arcades, boating lake.